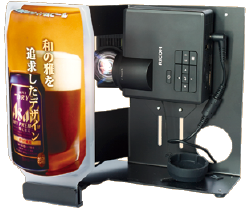 Cubic Screen mini | Tanaka Printing Co., Ltd.
Rear Projection 3D Screen The mini-sized Cubic Screen may be small, but it has a big impact! 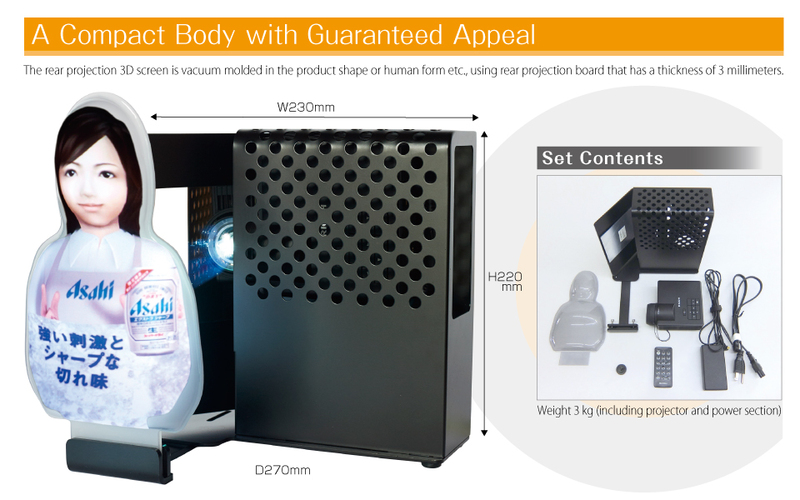 Turning the product package into a 3D screen can create a strong appeal for the image of the product, by allowing you to showcase the product variations or the interior of the package. 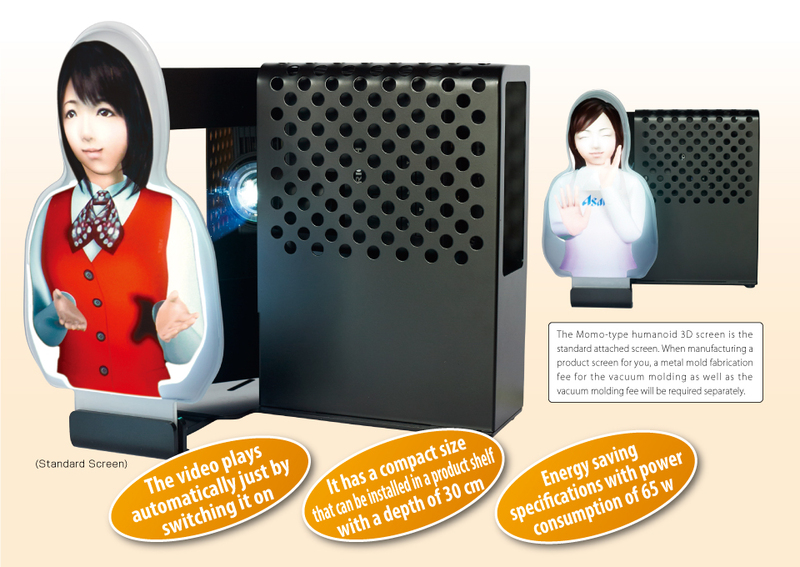 Using a mannequin as a 3D screen creates an impact that cannot be achieved with a flat screen. The video will play automatically just by inserting a microSD card in the RICOH LED Handy Projector (PJ WXC1110). There is no need for a media player or PC to play the video. With a LED light source, it can project for 20,000 hours without the lamp needing to be changed. It cuts running costs and has a maintenance free design that has zero mercury and is environmentally friendly. 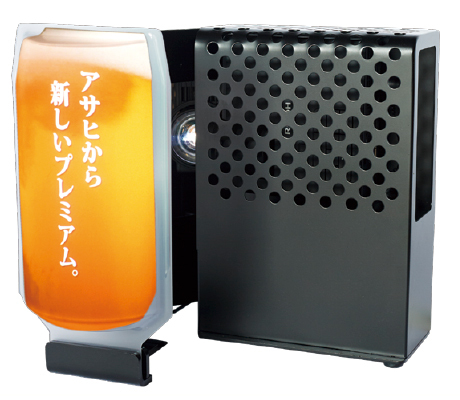 Also, it projects as soon as it switches on and there is no cooling time after switching off, so there is no unnecessary waiting time. It has a brightness of 600 lumens despite the small size.